Hey guys , This is another day to show my nailart for #nailThatTechnique challenge for feb. The prompt is Reverse Stamping. Well I really wanted to try this technique and was quite excited. 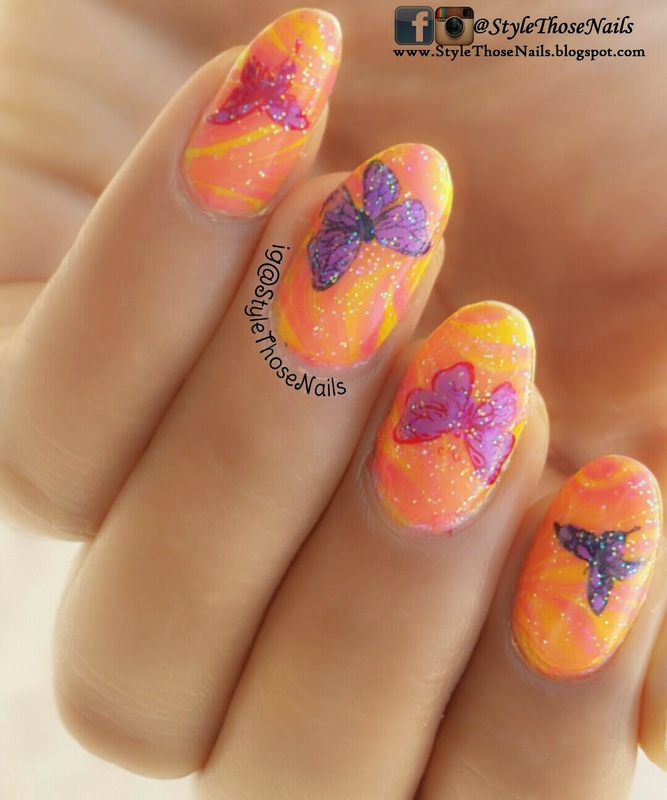 I have seen that it is most used technique by stamping queens but I don't know why I didn't like it that much. First of all let me tell you What Is Reverse Stamping Nailart? It's basically picking the image on a stamper and letting it dry. Then filling the colours of your choice on the image and again letting it dry. Then apply a top coat on stamper and again let it dry. Then peel off the image and stick on to your nail as you wish. 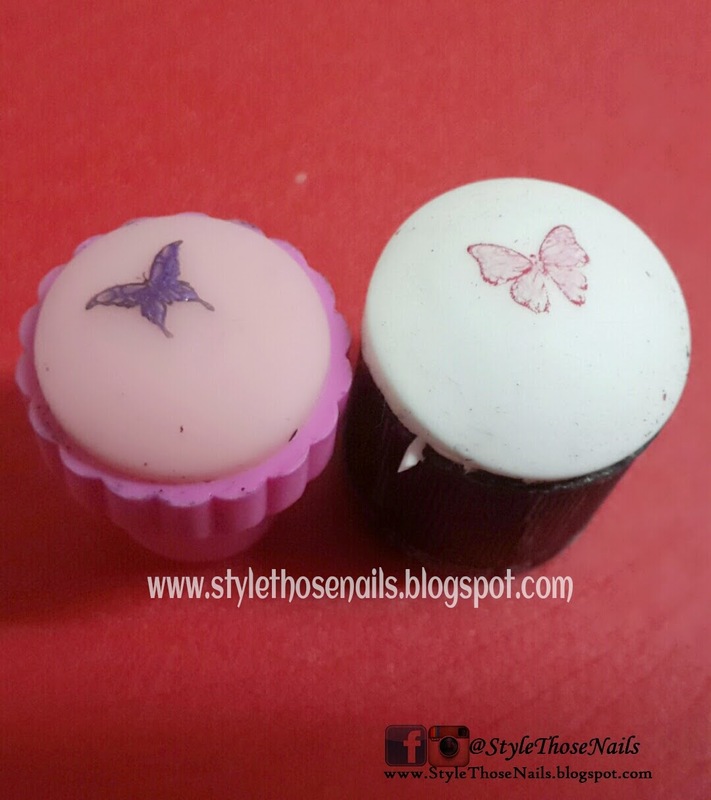 I also saw a variant of this technique where you can stamp the image directly on to your nails after colouring them on stamper. Of course you have to let it dry before transferring the image. I used this variant only as I am very impatient. I feel like a black sheep for not liking this technique much.I think I am so much into freehand nailart that I found the procedure too lengthy. I would prefer filling the colours on nails directly after stamping. (Like in lead light technique). But for an experience it was a good try. 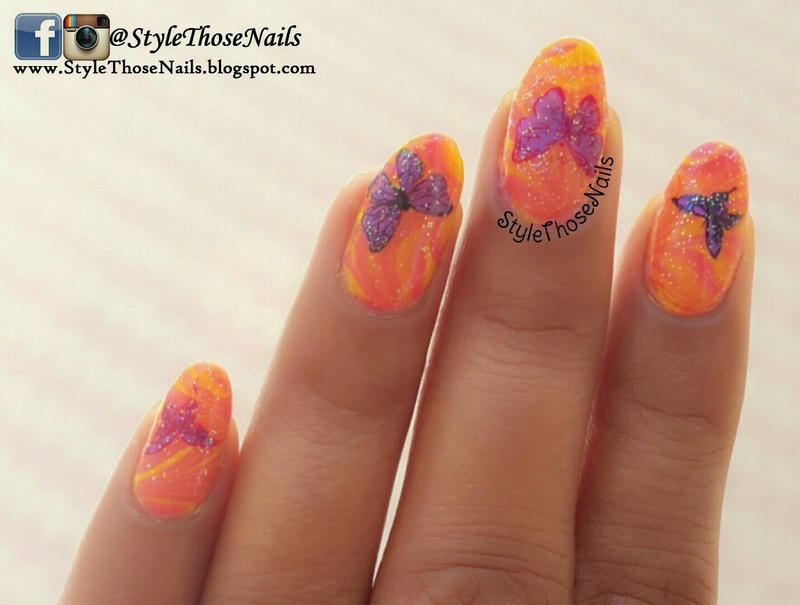 I first did a watermarble base using Maybelline Tangerine Treat and Maybelline Sweet Sunshine. 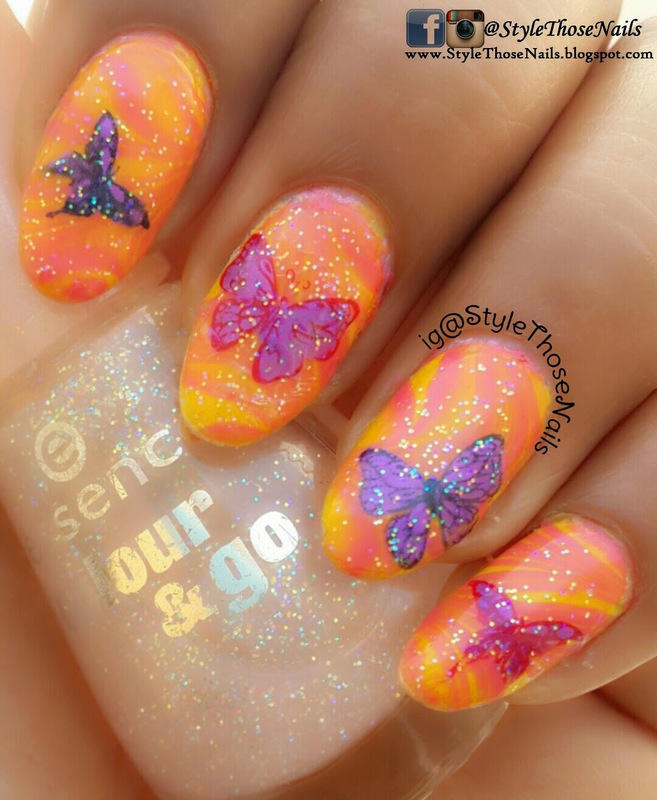 For butterflies I used BP-22 plate and after stamping I coloured the image on the stamper and transferred it directly on may nails instead of peeling out decal. (I got inspiration for this technique from Nail Stamp For fun and Opal Hazzlet) Also I want to mention that for direct stamping use a soft stamper as when I tried with hard one (Pink stamper) it didn't work. Last but not the least TOPPER - It just took the mani up a notch. 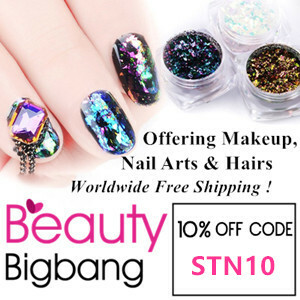 I loved how use of Essence-103 Space queen gave that whimsical look to whole nailart. Let me know what you think about this nailart. Have you ever tried this technique? What is your experience? If you would like to join us in future challenges click HERE for all info. Don't forget to check other pretty designs below.